Sometimes, they get a surprising call afterward – from the president of the United States. After one of Republican Rep. Matt Gaetz’s first appearances on cable news, he got a call from someone offering some advice. 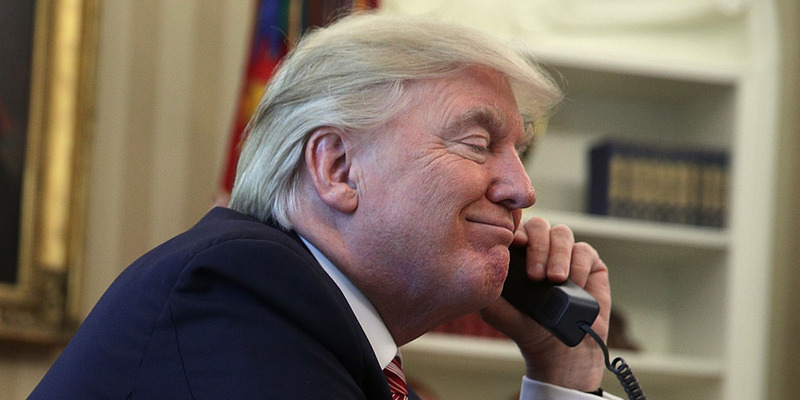 “Don’t let people talk over you,” President Donald Trump told Gaetz, the Florida congressman recalled in a recent interview. “He did make mention of the fact that he thought I had found a calling in television, which is high praise from someone who found a calling in television,” Gaetz told Business Insider of Trump. It is no secret that the president is a frequent consumer of the medium. A quick peek at his Twitter feed on any given day shows him often reacting to a segment on the “Fox & Friends” morning show, promoting a Fox News host’s program or upcoming interview on the network, or slamming coverage from outlets such as CNN. “I know he’s watching television because he’s calling me five minutes after a CNN interview and MSNBC interviews and Fox interviews,” said one Republican member of Congress, who requested anonymity to speak freely with reporters at a recent lunch. “I mean so he’s watching, and he immediately engages,” he said. Screenshot/CNNRep. 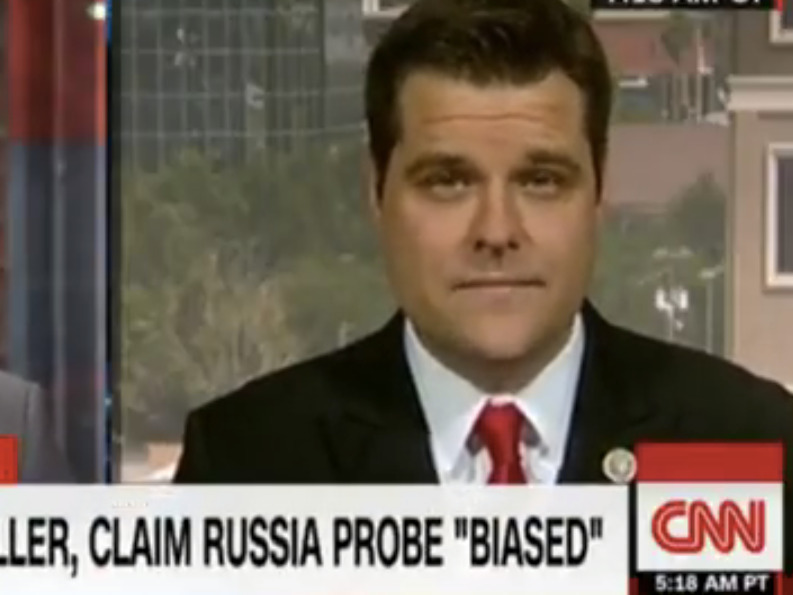 Matt Gaetz of Florida on CNN. After a recent appearance on “Fox & Friends,” Gaetz said, Trump called him to give him a compliment courtesy of first lady Melania Trump. “One of the last times I spoke with the president, he said Melania had seen me on ‘Fox & Friends,’ and she told him there was this really handsome guy on television talking about him,” he said. But one group of prominent TV guests do not appear to be on the president’s call list: Democrats. A spokesman for Democratic Rep. Eric Swalwell of California, who often appears on cable news to discuss the investigation into Russia’s interference in the 2016 US election, said the congressman had not received any calls from the president.